Does the key to Labour’s recovery lie in the London Borough of Brent? In the two weeks before polling day, I travelled to marginal constituencies all over the UK to try and help push Labour over the line in what most people thought was going to be the closest General Election result ever. We were told by everyone that the result would come down to a few hundred votes in a few dozen constituencies. In reality, the Tories won two million more votes than Labour nationally and a majority for the first time since 1992. On 7 May 2015, Labour wasn’t just beaten – it was recoiled from. So far, so gloomy. Yet whilst there is cause for a serious enquiry about this excruciating defeat, Labour’s failure was not uniform. Although many activists understandably spent the campaign in one part of the UK, I was able to see at first-hand how Labour’s messaging was being received in many different places. Basically, wherever I went outside of London or Lib Dem-held seats, I saw that the election was slipping away from us. Doubts about Ed Miliband’s suitability for office, the ‘threat’ of the SNP and the question of economic credibility did not reassure me that we were on track for victory. Indeed, Labour has now revealed that its own private polling forecast defeat long ago. But rather than being wise after the event, allow me to propose how Labour got its messaging pretty much spot on in the London Borough of Brent. After the Local Elections last year, I wrote of how Labour had driven the Lib Dems out of our corner of North West London. Therefore our result in Lib Dem-held Brent Central, though a seismic shift towards Labour, did not surprise me. A swing of 20.9 per cent from the Lib Dems to Labour should not be sniffed at, but nor should the fact that the Lib Dems collapsed pretty much everywhere against Labour. More interesting and hopeful for the Labour Party in England were our results in Brent North and Hampstead and Kilburn (H&K), where our nearest rivals were the Tories. Despite the Tories increasing their majorities and taking seats off Labour in many parts of England, and even in London marginals like Harrow East, in Brent North and H&K, we actually increased our majorities. In Brent North, Barry Gardiner did follow the national campaigning theme of defending the NHS, speaking out against the closure of A&E at Central Middlesex Hospital. But crucially, Barry had local businesses on his side. Not because he’s a right-wing MP (he’s not), but because he has always stood up for small businesses, understanding that they are the backbone of our community. It’s no surprise that Barry is a regular guest of the British Asian Business Awards. Walk through the streets of Wembley with him and you will see local business owners come up and thank him for everything he’s done for them AND their employees. Seriously. An increased majority of over 10,000 followed. In H&K, where I spent polling day, our candidate Tulip Siddiq had done so much to impress local business that we were ferried around by an enthusiastic company of Labour-supporting cabbies. The central Tory argument that they were the only party who could help businesses succeed simply didn’t cut through here and we increased a majority of 42 to over 1,000. So the lesson is that while Labour is right to define itself against the excesses of neoliberalism, we also have to be for businesses that give their employees a stake in their enterprise. This is simply the Co-Operative ideal in practice. In this way we can build our economic credibility from the ground up, through local government and good local MPs. Our parliamentary candidates in Brent understood this. I hope that the next Labour manifesto has its message at its centre. Because unless we convince employers and employees alike that we offer the best route to their success, I am afraid this defeat will not be a nadir, but a signpost to perennial opposition. Brent Central welcomed back an old face – Dawn Butler, who in her previous tenure at Westminster had a home in New Cross and her “second home” in Stratford – London E15, that is, – not Upon-Avon. Both less than thirty minutes from Westminster. Perhaps unsurprisingly she got thrown out in 2010,but time is a great healer and as she has been such a great hero to take the seat from the Lib-Dems, who could hazard a guess what she will get up to this time?. The results in Brent and London generally were consistent with the national picture that Labour increased its majority in places where it was alreay dominant, but didn’t convince in the middle-England marginals. 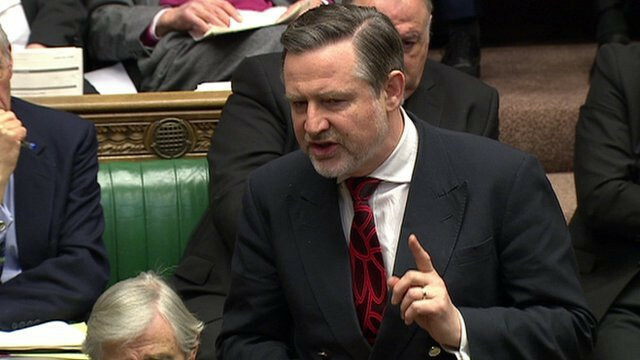 I don’t think, as one of his constituents, that there was any particular factor around Barry Gardiner at work here. He could not have lost, there was a trend for London. The results really emphasised an absolutely divided England, with the cities solidly Labour, such that the gains made did not help with the number of Labour seats, and Conservatives winning everywhere else. Unless Labour embraces PR, this situation looks likely to only worsen for them, with the now unmoderated Conservative government able to re-introduce its (blocked by the Lib Dems) plans to make constituencies larger (i.e. gerrymander the electoral system further). What an enlightend comment,Matthew. You really shouldn’t waste all that wit on us. Why is it gerrymandering to make constituencies have similar numbers of electors? Seems a very odd definition. Also the electoral commission is independent, unless you know better. True, this is not ‘classic’ gerrymandering. However, the larger constituencies are, typically the greater the difference becomes between the results of First Past the Post and the results of Proportional Representation. The reduction to 600 seats proposed by the Conservatives would definitely have the effect of grouping some concentrated areas of urban Labour support in with adjacent rural areas (particularly around the northern towns) and make it harder for Labour to win these seats in future.